When the topic of “sales and marketing alignment” comes up in a room there tends to be one of a few reactions by the sales and marketing leaders who are present. “We’re just not ready for making this kind of shift.” There’s agreement that a change needs to be made, but it’s not a crisis so it gets no organizational attention. “This is just some BS that people talk about on that LinkedIn thing.” And there’s always a percentage of leadership that thinks things don’t have to change. In their minds, whatever worked when they were coming up in the business is what still works, so there is no need to change. This is unfortunate, because the numbers keep coming out that show prospects and customers are approaching their buying journey with a lot more control and information than ever before. There are huge opportunities when teams can show a united front to their customers and create a seamless experience for them. Customers just need to solve a problem, they don’t care how your organization is parsing the sales and marketing work. 1. You see better conversion rates. The perennial complaints of marketing is that the sales team doesn’t convert the leads that they bring to them. And sales continually gripes about the quality of the leads they get. When the two are working together, there’s a feedback loop that boosts conversion rates. Marketing gets clear and immediate feedback about what sources are bringing in opportunities, and how good those opportunities really are. Sales has a hand in helping target the best prospects. Voila, higher conversion! 2. The work is more relevant. Related to higher conversion rates is an increase in efficiency. With increased communication and interaction, both teams focus on areas that create higher conversion in a shorter amount of time. The feedback loop cuts out unnecessary work or programs that would bring in ineffective leads or would waste good leads through inconsistent messaging. 3. It’s more fun. At some point, the antagonism between sales and marketing become tiresome and unproductive. It also hurts the work environment. Instead of grumbling about the other, both teams can work together to create better results. Everyone is working towards the goal of bringing in more and better customers, so why not doing that while having a good time with each other? Leadership doesn’t know what to do. 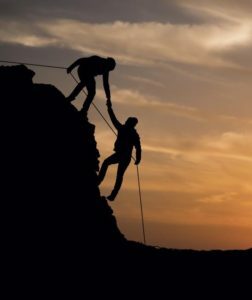 Even once they get on board, sales and marketing leaders don’t know how to actually encourage their organizations to join forces and cozy up with each other. They are used to thinking strategically and then having the people that report to them roll out their agendas tactically. But since this is a new concept, they don’t have people in the “field” who can take these concepts and make them real. And so we have just one more roadblock to change. But we can get past that by putting together a very simple program that will help sales and marketing work together. It uses the most current tools in marketing and social selling to leverage the talents of everyone in the organization. Most importantly, it gets the two sides familiar with working with each other on building and creating a prospect pipeline. It creates a foundation that they can continue to build on. The goal of this program is to for marketing to create online content whose focus is driven by the sales team. And then the sales team will be instrumental in pushing it out. First, you want to set up some parameters for success of the program. Even though the overarching focus should be on increasing sales, the short terms goals might not be as direct. Rather, it’s to spur activities that bring more prospects into the sales pipeline and move them through it. The goals should encapsulate buyer engagement and providing those buyers actionaable insights. The purpose of this meeting is to generate topics and outlines for 4 pieces of written content. These are pieces that the marketing team is going to create. To that end, this meeting will involve 2-3 members of the marketing team and 3-4 salespeople from the top 25% of the salesforce. What objections are you regularly facing when meeting with prospects? What pain points are your prospects facing that we can solve? Describe a big win that you’ve had with a customer lately? What negative effects have you seen when prospects don’t take action? This will last about an hour and ideally will take place in person. If you can’t get everyone physically together, you can use video conferencing. But it will be really hard to do this meeting through a voice-only conference call. It’s important to brainstorm and work through these ideas in an environment that encourages trust and makes sharing ideas comfortable. From this meeting, the marketing team should develop ideas for 8-10 pieces of content. Further winnowing it down, they can pull out the top 4 ideas to work on. This content will usually be articles, videos, or short white pages. These pieces should be short, concrete, and easily shareable. It’s best to host them on a blog or website that has a clear next step for visitors. It’s important that there are clear calls to action. These are tied directly to what the salespeople are facing in the field, so we want to tie into those issues and give prospects and customers an easy next step. This content will then be released over the span of a month or so. Once a week will usually makes sense. It’s important that the sales team have time to promote the content and actively use it in their conversations. The goal is to help drive interaction and generate interest over time. Individual sales reps can record these videos and post them to their social media accounts. They should focus on LinkedIn, but can use other platforms like Twitter and Facebook, or really anywhere their target market and network exists. When putting them on social channels, they should tag 3-5 people in their network to help it gain traction. They can also email the videos directly to 5-10 prospects or customers. 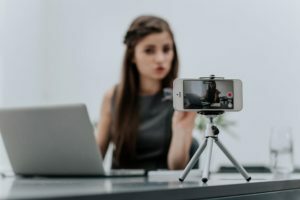 Using video email platforms, they can customize the scripts that they get from the marketing team to tie the content they are sharing with the questions and challenges of their prospects. This is the fulcrum of the process: sales complains that they don’t have content that is pertinent to their needs and marketing complains that sales isn’t using the campaigns they create. Now they are working together. When the sales teams share videos on social or through email, they are creating double exposure: Some viewers will just watch the video in their newsfeed, while those who are more interested will go to the actual content. To track the efficacy of this campaign, it’s important to track traffic. If possible, marketing should create links to the content pieces that specifically track how often they are used. Using a link shortener with tracking (e.g. Bit.ly) or creating a UTM campaign in Google Analytics are both examples. Also, sales should track through which prospects and customers they reached out to directly their CRM platform. It’s also important to capture non-quantifiable data. The salespeople will often have better conversations, or even be able to start conversations, because of the content. That may or may not be captured in the traffic and CRM data. It’s important that they take notes on interactions they have that are influenced by the insights they are able to share with their network. What was the overall traffic for the new pieces of content? Which part of that traffic came from sales driving visitors? How many conversations happened for sales because of the content? What non-quantifiable effects did the content have? What are the next areas we can address with content? There will always be new topics and areas to address in the content. 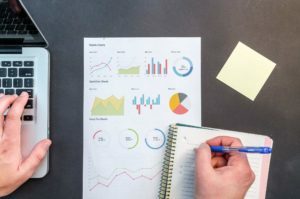 The insights that need to be shared will continue to evolve and it’s important to continue tweaking the information that the team is putting out. Marketing can bring their macro understanding and combine them with the intimate knowledge that sales is getting in the field to keep the content fresh and relevant. But at the end of this meeting, it’s critical that there are 4 more topics that are primed and ready to work on. 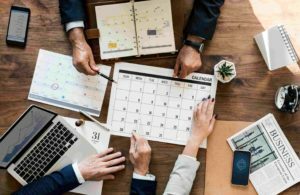 It will take a few passes through this cycle to get into a rhythm, but eventually there will be a symbiotic relationship that develops between the sales and marketing teams. There might not be immediate increases in traffic and conversion right away. It takes time to position yourself in the minds of prospects and customers. But it will happen. By continually providing great content, and having the salespeople engage around with their networks around that content, will lead to more and better opportunities. 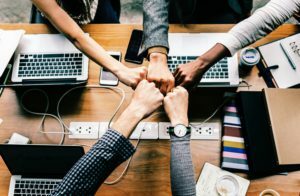 Just as importantly: Instead of friction, sales and marketing will be working together to create useful material that will aid prospects and customers in their buying journey. They will be truly aligned as a customer acquisition team. And that’s the goal.